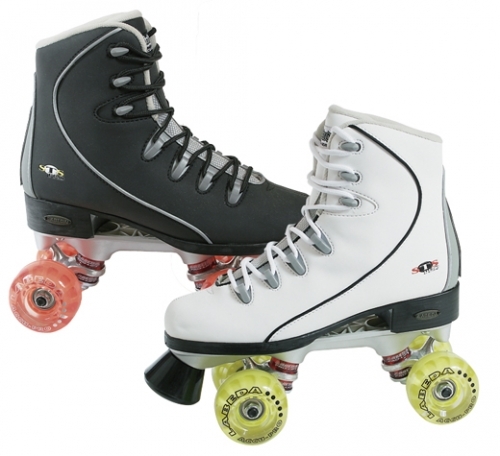 ﻿ Labeda STS-Pro Skates at Skates Pro Shop - Discount roller skate shop! 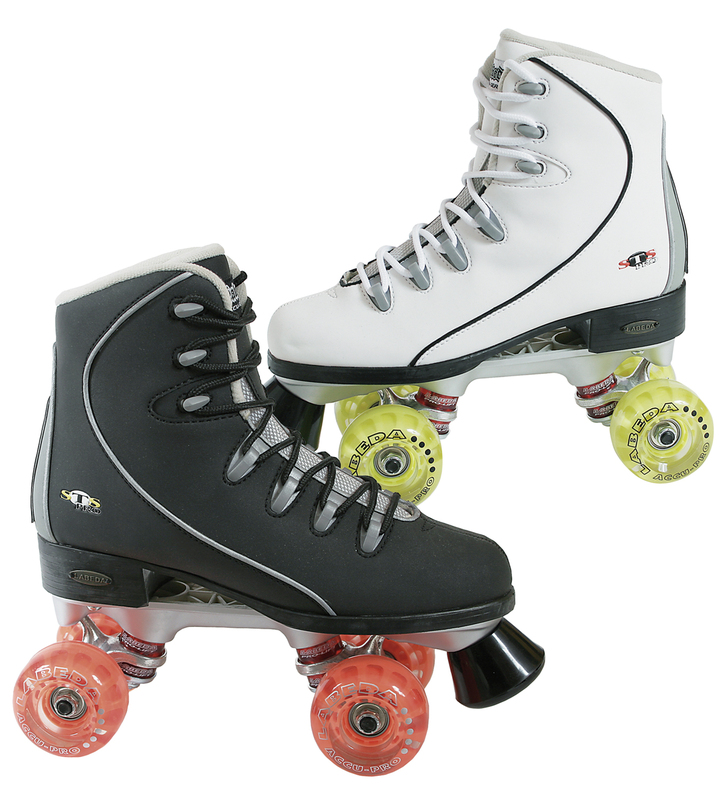 Skates Pro Shop - Discount roller skate shop! NU Buck soft touch exterior, deluxe padding, quick wicking lining, silver plated nylon plates, 62mm X 38mm Labeda Accu Pro indoor/outdoor wheels, ABEC 3 chrome bearings, non-adjustable toe stops. Mens Black Sizes 4 - 5 - AND 6 ONLY! Ladies White Sizes 4 AND 5 ONLY!